Ever had issues with your batteries being drained before ever being able to use them? 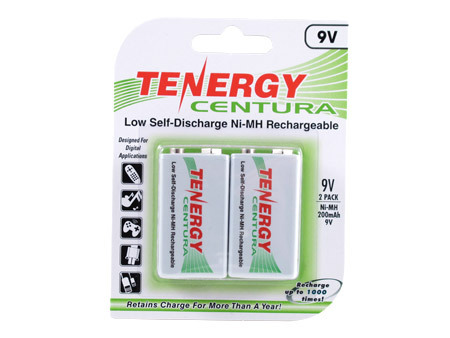 With the popularity of our AA Sized Ni-MH Low Self Discharge batteries and endless requests from our customers, we now carry this same battery technology in a rechargeable 9V size! 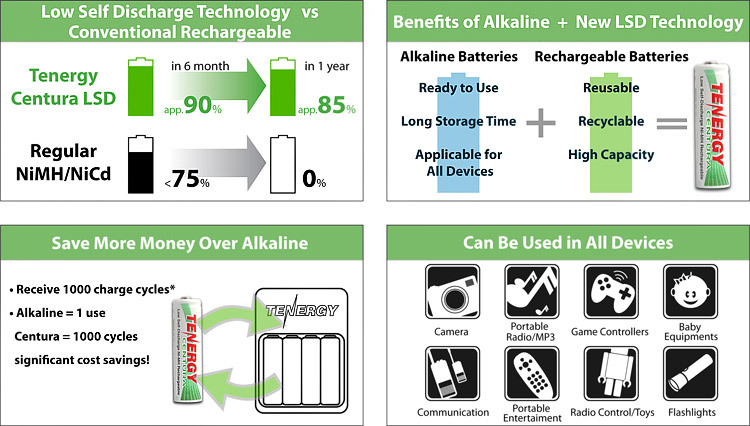 Recently released in May 2010, be one of the first to own our new type of 9v NiMH batteries. Being the leading provider of total power solution we are one of the few retailers that carry Low Self Discharge rechargeable 9V batteries. No more worries about the state of charge - just charge the batteries and keep them. Even after months you will still have an almost full battery. Ideal for smoke alarms and other precision devices that are slow drain, and required to last for long periods of time. High quality 9V rectangular size rechargeable Nickel Metal Hydride (NiMH) battery high capacity of 200mAh. Exact replacement for standard 9V rectangular size battery. Provides very long use time per charge with high 200 mAh capacity. Advanced Low Self Discharge Ni-MH technology will help maintain its charge after a year when compared to regular NiMH 9V batteries. Holds charge longer than standard NiMH when not in use. Can be recharged for up to 1000 times, providing big savings by replacing hundreds of expensive throw away 9V rectangular size batteries. Can be rapidly charged with our chargers model TN141, TN136, TN137, BC1HU, V1199B, V3969A1, V228.